There have been over 2 million Manduka PRO Yoga Mats sold. It’s not only for the pro yogis or yoga teachers, it’s for everyone. The large volume of mats sold is a testament to the versatility of its use on top of its popularity across the many levels of yoga practice. Many consider it to be the best of the best because of its durability, density, and quality. In heated yoga practices, such as Bikram and Hot Yoga, the Manduka PRO may prove to be a little slippery due to the closed-cell structure, which is designed to repel moisture and sweat so it doesn’t seep directly into the mat, using a yoga towel over the Manduka Pro can be a great solution for extra sweaty practices. Similarly, more vigorous practices such as Vinyasa and Ashtanga that tend to produce more sweat, even if the room is not heated, may benefit from the use of a yoga towel to help absorb excess moisture for a better grip. The Manduka frog logo, which is located at the top corner of the yoga mat, is the intended side to practice on. The bottom of the mat has a firm grip thanks to its complex dot pattern that fixes the mat firmly on to the floor to prevent it from moving. How is the Manduka PRO different from the Manduka PROlite Yoga Mat? The PRO and PROlite yoga mats are very similar. They only differ in colors, dimensions, and weight. PROlite yoga mats are obviously the lighter version of the Manduka PRO and are technically more portable. Not that the Manduka PRO is not portable but the PROlite mats are much lighter. The Manduka PRO weighs 7.5 lbs for the standard size and the extra-long size weighs 9.5 lbs. On the other hand, the Manduka PROlite weighs only 4 lbs. The standard Pro is 71″ long, 26″ wide, and 6 mm thick. The Prolite weighs in a few pounds less because it is 71″ long, 24″ wide, and 4.7 mm thick. If you’re commuting with your mat often, then the Prolite may be the best choice for you. If your body likes a bit of extra support or space to move on, then the Pro may be the mat for you. The right size will hugely depend on your height but typically, the standard size will do, especially if you use it for home practice and maybe some studio practice once in a while. If you are a really tall person, then the extra-long size is the best option. You just got to keep in mind that the extra-long version is also 2 lbs. heavier than the standard size. Do you need to break-in the Manduka PRO Yoga Mat? Some people feel that breaking in the Manduka PRO is necessary to help increase the stickiness of the mat. However, it doesn’t mean that the longer you use it, the higher the wear and tear. In fact, it is the opposite. The PRO just gets better with age, similar to fine wine. In the first few uses, you may notice that it may feel a bit slick. 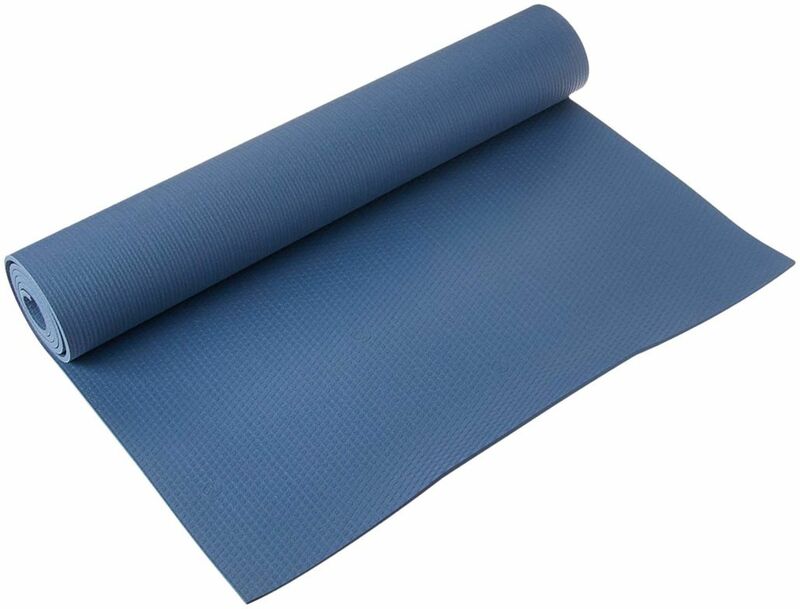 That is due to the thin film that is used to cover the top surface of the yoga mat. Over time, the film will wear out allowing your mat to become a lot grippier with less or no occurrences and/or tendencies of slippage. If you’d like to speed up the break-in process, you can follow the simple ritual below to help speed things along. The Manduka PRO Yoga Mat is known for being eco-responsible. What this means is that it is not made of some cheap materials that will become unstable after a few weeks of usage. I know some of you have experienced that and it really doesn’t sound right. It’s a waste of money and a threat to the environment. The Manduka PRO is built upon the mission of Manduka to greatly reduce the number of cheap materials, such as toxic PVC, used in the yoga mats sold in the market that will eventually enter landfills when the yoga mats are worn and thrown into the garbage. As a result, Manduka produced the durable, sustainable and eco-responsible yoga mat in the form of the Manduka PRO Yoga Mat. The Manduka PRO Yoga Mat is made of PVC but the rest of the other materials are guaranteed toxic-free. 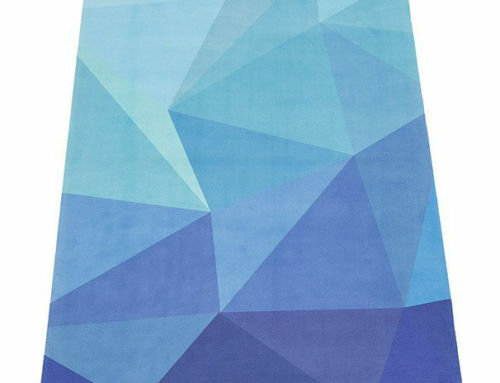 The PVC material used in the Manduka PRO is eco-certified and phthalate-free. 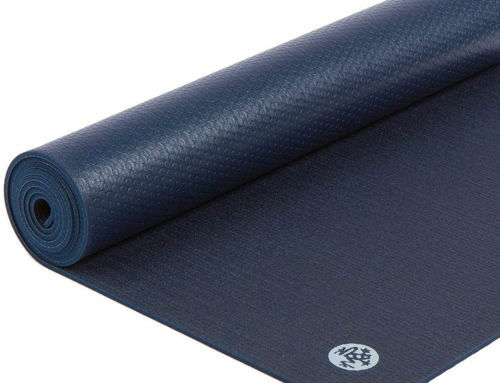 In addition, it is is latex-free and has been awarded by the OEKO-TEX, as a safe yoga mat free of harmful substances. Lastly, the manufacturing process employed by Manduka is certified to be emission-free – a manufacturing achievement that not only safeguards consumers but also workers involved in the production. 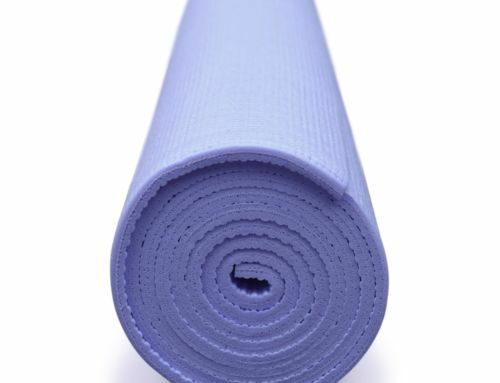 How do you take care of your Manduka PRO Yoga Mat? It is quite important to understand the best way to take care of your mat. Even if the mat guarantees utmost durability and the highest quality with very low wear and tear tendencies, it is highly recommended to know the dos and don’ts of using and taking care of your Manduka PRO Yoga Mat. Always clean your mat after each use. You can apply Manduka’s All Purpose Mat Wash or make your own mat spray at home. Let the mat air dry after wiping it with water. You will have to keep in mind that even though you can hang it dry outside, the mat should not be hit by direct sunlight. Never attempt to use vinegar-based solvent or cleaning solutions because it can definitely damage the mat. It will also dull the mat’s opalescent and metallic properties. Never soak the Manduka PRO Yoga Mat. Never shower, machine wash, place in a bathtub, or even use a garden hose to clean the mat. More importantly, never attempt to use a vacuum cleaner to clean the Manduka PRO Yoga Mat. The Manduka PRO Yoga Mat doesn’t at all smell because of the special closed-cell structure technology that prevents any moisture and/or sweats from sipping directly into the mat. This prevents absorption of any bacteria or germs into the mat. You will get a lifetime guarantee when you buy a Manduka PRO Yoga Mat. You can easily get it replaced regardless of where you bought it. Even if you bought it on Amazon. The Manduka PRO Yoga Mat is non-toxic. It is highly durable and made of high-quality materials. The mat is spacious at the same time stable. The mat is super comfy with dense cushioning. The Manduka PRO Yoga Mat is made with toxin-free and sustainable materials. The Manduka PRO Yoga Mat is the best investment in a yoga mat because it is a top of the line yoga mat, which you can use for any types of yoga practices. The Manduka PRO Yoga Mat tends to become slippery when used for heated yoga practice or if you’re quite a heavy sweater. This can be addressed though, using a yoga mat towel or yoga socks. Some break-in may be needed. Not so light and travel-friendly. The standard size is quite heavy to carry but not really a deal breaker.